Here is the list - we have included links to paintings that you may feel the need to censor for younger children. 1. Sir Lawrence Alma-Tadema. A Coign of Vantage, 1895. 2. Sandro Botticelli. 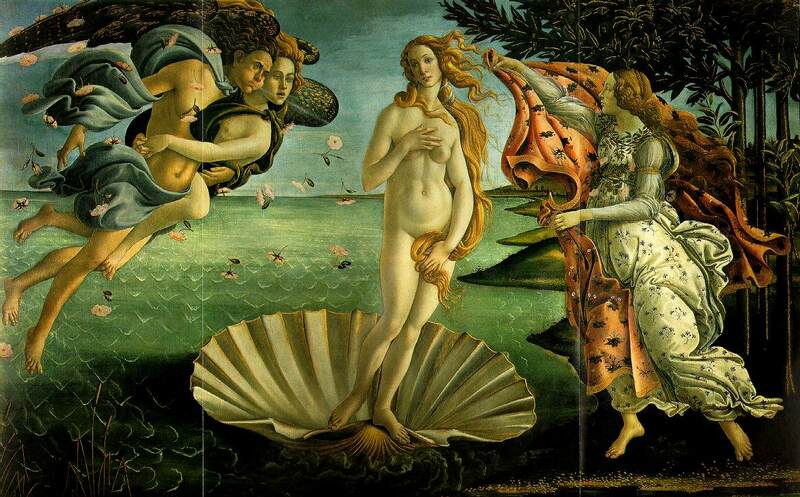 The Birth of Venus, ca. 1485. 3. William-Adolphe Bouguereau.Young Girl Defending Herself against Eros, 1880. 4. Pieter Bruegel. The Peasant Dance, 1567-68. 5. Sir Edward Burne-Jones. An Angel Playing a Flageolet, 1878. 6. Mary Cassatt. Young Mother Sewing, 1902. 7. Paul Cezanne. The Blue Vase, 1885-87. 8. Marc Chagall. The Fiddler, 1912. 9. William Merritt Chase. Portrait of Miss Dora Wheeler, 1883. 10. Salvador Dali. The Persistence of Memory, 1931. 11. Edgar Degas. Before the Exam (The Dancing Class), 1880. 12. Albrecht Durer. The Madonna with the Iris, 1508. 13. Thomas Eakins. The Champion Single Sculls (Max Schmitt in a Single Scull), 1871. 14. Jean Honore Fragonard. A Young Girl Reading, 1776. 15. Thomas Gainsborough. The Blue Boy, ca. 1770. 16. Paul Gauguin. When Will You Marry?, 1892. 17. William Glackens. Chez Mouquin, 1905. 18. Vincent van Gogh. Van Gogh's Bedroom, 1888. 19. Francisco Goya. Don Manuel Osorio Manrique de Zuniga, 1787. 20. El Greco. View of Toledo, 1604-14. 21. Frans Hals. The Laughing Cavalier, 1624. 22. Edward Hicks. The Peaceable Kingdom, ca. 1837. 23. Winslow Homer. Snap the Whip, 1872. 24. Edward Hopper. Hotel Room, 1931. 25. Frida Kahlo. Self-Portrait with Monkey, 1940. 26. Gustav Klimt. The Kiss, 1907-08. 27. Frederic, Lord Leighton. Flaming June, 1895. 28. Leonardo da Vinci. Mona Lisa, 1506. 29. Emanuel Leutze. Washington Crossing the Delaware, 1851. 30. Rene Magritte. The False Mirror, 1935. 31. Edouard Manet. 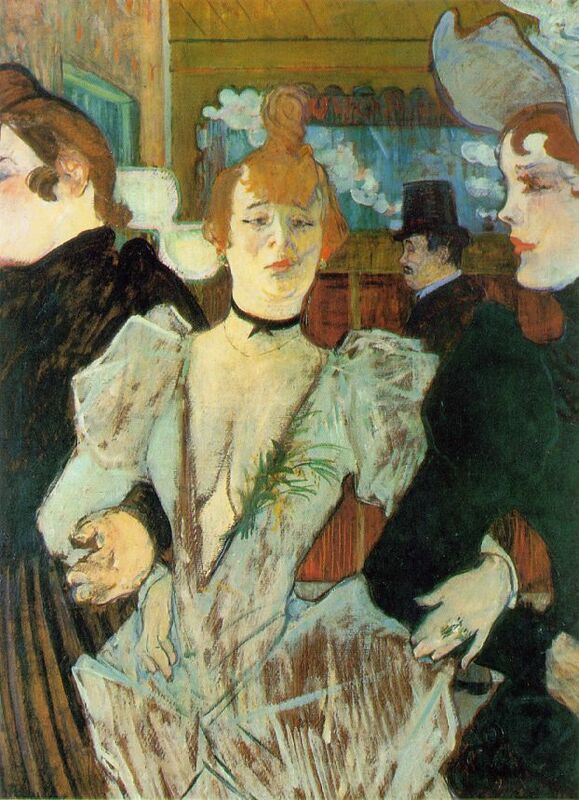 A Bar at the Folies-Bergere, 1881. 32. Henri Matisse. Harmony in Red, 1908. 33. Michelangelo Buonarroti. Delphic Sibyl, 1508-12. 34. Jean-Francois Millet. The Gleaners, 1857. 35. Joan Miro. People and Dogs Before the Sun, 1949. 36. Amedeo Modigliani. Lunia Czechowska with a Fan, 1919. 37. Piet Mondrian. Broadway Boogie-Woogie, 1942-43. 38. Claude Monet. Sunflowers, 1881. 39. Grandma Moses. A Beautiful World, 1948. 40. Edvard Munch. The Scream, 1893. 41. Bartolome Murillo. The Little Fruit Seller, 1670-75. 42. Pablo Picasso. Les Demoiselles d'Avignon, 1907. 43. Camille Pissarro. Chrysanthemums in a Chinese Vase, 1873. 44. Raphael. The Sistine Madonna, 1513-14. 45. Odilon Redon. Wildflowers, 1905. 46. Rembrandt van Rijn. Aristotle Contemplating the Bust of Homer, 1653. 47. Pierre-Auguste Renoir. Luncheon of the Boating Party, 1880-81. 48. Diego Rivera. Flower Day, 1925. 49. Dante Gabriel Rossetti. La Pia de' Tolomei, 1868-80. 50. Henri Rousseau. The Sleeping Gypsy, 1897. 51. Peter Paul Rubens. 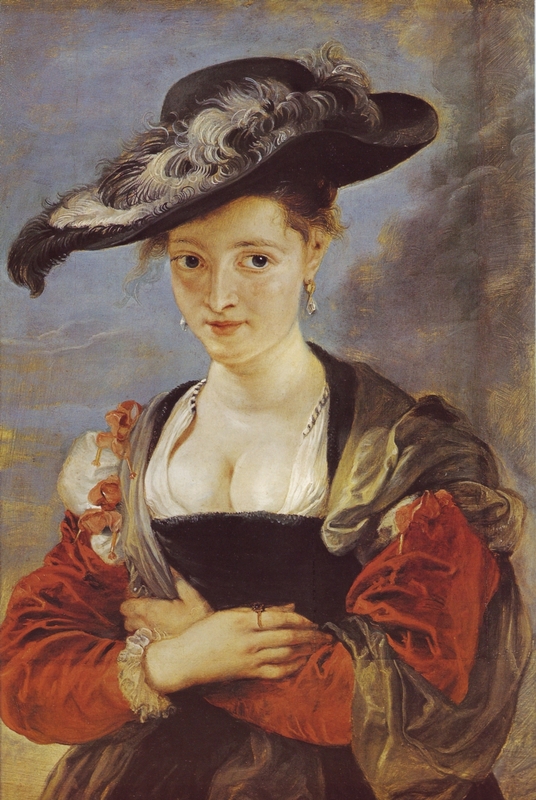 Portrait of Susanne Fourment, 1625. 53. Georges Seurat. Sunday Afternoon on the Island of La Grande Jatte, 1884-86. 54. James Tissot. Portsmouth Dockyard, 1877. 55. Henri de Toulouse-Lautrec. La Goulue Arriving at the Moulin Rouge with Two Women, 1892. 56. Diego Velazquez. Infanta Margarita, 1660. 57. Jan Vermeer. Girl with a Pearl Earring, 1660. 58. John William Waterhouse. A Mermaid, 1901. 59. Jean-Antoine Watteau. Pierrot: Gilles, 1721. 60. Grant Wood. American Gothic, 1930. ARTistic Pursuits, Middle School Book One: The Elements of Art and Composition, 3rd ed.